So, How Much Did It Cost? With Eve’s Garden Design, one of my goal’s is to bring beautiful, sustainable gardens to regular people. A garden really can be installed by hand without calling in the big machines; it can be maintained by people without a degree in horticulture, and it can require minimal care so that it is a joy, not a burden to its humans. And, a garden can be affordable. My dad’s garden is a bit of a demonstration garden. I used ‘best practices’ in constructing it to minimize future maintenance requirements and so that I would be able to tell people how much it costs to do it right. We kept every receipt for the materials used. This garden cost less than $1,000 for all materials. By next summer, it will be beautifully filled in. The total cost? $943, including sales tax. That includes plastic sheeting for solarizing, parts to convert his spray irrigation system to drip, landscape fabric (weed barrier), plants (and I did over-plant in my enthusiasm for creating a lush looking demo garden), mulch, and sand for under the pavers (the pavers were free, salvaged from the demolition of another project). It doesn’t include hiring laborers because we did all the work ourselves. That’s my 78 year old dad (two prosthetic knees), my very strong brother for one day, and me. It took approximately 40 people hours to install everything, working at a reasonable, not frenetic, pace. And, there are many ways to cut the cost far below what we paid for my dad’s garden. A sustainable garden is an investment in your future and in the future of your neighborhood and your planet. It will enrich your life and doesn’t have to hurt your bank account. This entry was posted in New Projects, Uncategorized and tagged affordable garden, affordable landscape, garden material costs, gardens for people, inexpensive garden design, inexpensive landscape ideas, Landscape Architect, landscaping costs, sustainable garden, sustainable landscape on January 25, 2011 by admin. I have recently started my Facebook fanpage. If you would like updates on garden tips and before and after photos of gardens being transformed, please follow my Facebook Fan page. This entry was posted in Uncategorized and tagged Chico, Eve Werner, Eve's Garden Design, Facebook, Facebook Fan Page, Landscape Architect on August 30, 2010 by admin. 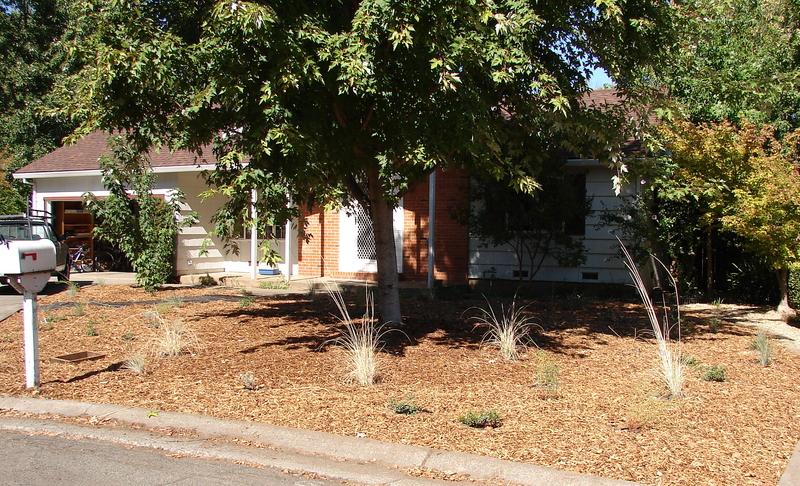 I am looking forward to meeting individuals who want to transform their gardens in the Chico, CA area. You can connect with me through LinkedIn or forward my profile to others. This entry was posted in Uncategorized and tagged Chico, Eve Werner, Landscape Architect, Linked In on August 30, 2010 by admin.